Since the release of Office 365 Beta we have been evaluating the services and the benefits where we can use it within our business. With 3 main services we will use each of these to our requirements and use them in a unique way and we will share these to you in the future as we implement them. 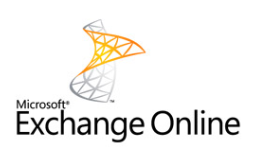 We currently have 2 hosted Exchange email accounts with another supplier and there are 3 main reasons for moving to Office 365 and Exchange Online from a mail point of view. We employ different contracts for different roles and assign them bfcnetworks.com email accounts. We can’t say anything wrong with my old hosting company and have no other reason to migrate to Office365 other than these 3 benefits. With our current hosting provider we are issued with 10GB mailbox limits. At the moment 1 mailbox is 75MB and the other is 1GB and even though we know we won’t reach the 10GB limit any time soon, with the company being small and productivity being key we don’t want to reach the 10GB limit and then have to start spending time archiving mail instead of working with our clients. Each Exchange host mailbox costs us £100 per user per year with our old provider. With Office 365 for Small Business each mailbox will cost us £4 per month saving us over 52% each year but included in that cost we get SharePoint and that is key part to our business productivity and ensure we store document in a control format that are easy to find and tag. Depending on the project we are currently working on we will employ contracts to help in the delivery with our customers. As the previous hosting company only allowed us to purchase Exchange mailboxes by per year this was not flexible enough for our business and different contractors each month. The flexibility of the pricing in Office 365 allows us to purchase a monthly license for each of our contractor and close the accounts straight away saving us money. As we come to close of our financial year we will be building our SharePoint Online within Office 365 with our quote and invoice system available in the browsers and storing data around a taxonomy for each customer.